Details: Save $50 Off All Order Over $175 Or More Online Only + Get Free Shipping On Orders Of $75 Or More. Offer Available For A Limited Time. 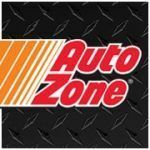 Details: For a Limited Time, AutoZone.com is Offering a $15 Gift Card For Every $100 Spent on AutoZone.com on "Ship to Home" Orders. Details: Oil Specials! Shop Monthly Oil Change Specials + Get Free Shipping On Orders Of $75 Or More. Details: TheRawFeed Exclusive! 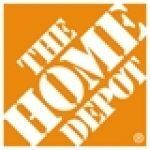 10% Off Any Order Above $700 + Free Shipping Available, a $200+ Value. Free shipping available on most items, some exclusions apply. Ends 7/31/13. Details: TheRawFeed Exclusive! 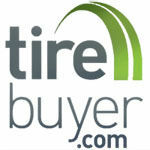 Save 12% on Any Order Over $850 + Free Shipping Available, a $200 Value! Free shipping available on most items, some exclusions apply. Offer expires 7/31/13. Details: The first 500 Customers, Save $50 Off Orders Over $100. The next 1,000 customers save $40 off orders over $100. And the next 2,000 customers save 30% off nearly everything. Ends soon. Details: Save 30% Off Your Order Of $50 Or More For A Limited Time, A Max Savings Of $50. Details: See a List of All the Promotions Happening at Your Local AutoZone Store. Enter your ZIP code at the prompt to get discounts & rebates on brake products, detailing supplies, motor oil & more.